India's love for Sport Utility Vehicles is evident yet inexplicable. 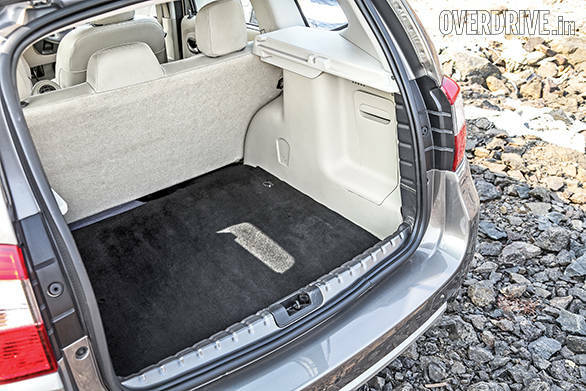 More space and ground clearance are understandable requirements for Indians, but somewhere, the purpose got lost in the perception itself and suddenly, owning and driving an SUV in India became a thing to do. How else do you explain the acceptance of butched up hatchbacks that manufacturers like calling compact SUVs? Well, there are a few SUVs that really are SUVs by reasonable definition of space and size, and we've got three of them in their latest iterations. The first one is the SUV that started it all in India way back in 1998 - the first SUV to be built indigenously - the Tata Safari. The Safari survived 14 years without a generation change, but was finally ungraded in 2012 and became known as the Safari Storme. In 2002, building on their pedigree of assembling Jeeps, Mahindra launched their big boy - the Scorpio, in 2002, and it became an instant success. It was time however for the emperor to change his clothes and so Mahindra have given the Scorpio a new makeover. Our third contender is the newest kid on the block, a baby actually when compared to its company. This solid example of a badge engineered SUV from the alliance between Nissan and Renault, christened the Terrano, just celebrated its first anniversary last month. Two local king pins of the SUV realm, and one a foreign pretender to the throne. One has to prevail. There was a lot of speculation and hoopla surrounding the new Safari, regarding the project Merlin back in 2012, especially because nerds like us expected Tata to miraculously transform the Safari into a Land Rover Defender. But when the Storme was launched it wasn't the revolution we had expected it to be, and surprisingly, this seemed to work for Safari fans. Turns out a larger majority of us Indians aren't as welcoming to change with things we like. Although if I had to be objective, the Storme feels too tall for its foot print and the laws of physics don't particularly like that (more on the dynamics later). But having said that, it is still the largest car of the three and that immediately translates into the most interior room. On the insides, to be fair, the Safari Storme is the oldest car of the lot and that shows in the staid design of the interiors when you compare it to the fresher ones on other cars, not to mention the lack of features. 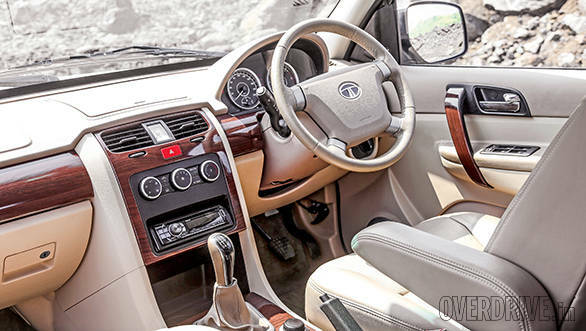 Tata's build quality has come a long, long way from the time the late Karl Slym took charge and this shows. But it still has some way to go. Like the Safari Storme, the Scorpio's generation change has a lot of remnants from the past, especially with some of the body panels. But what Mahindra has managed to do is make the front and rear end look different. While the newly designed front end looks quite striking and contemporary, the rear end is just a bit too ostentatious. Reminds me of the XUV when I first saw it (recall the tailgate and etched taillight tattoos?). But it gets even better once you are inside, nothing in here looks like it belonged to the outgoing model. A lot of the features that made the XUV 500 quite a value proposition have trickled down into the new Scorpio, features like - automatic headlamps, cornering lamps, climate control, rain sensing wipers, start stop, touchscreen UI with navigation, voice assistance and more. Add a pleasing layout and it gives the Scorpio a significant advantage over the competition. The ergonomics have been reworked too but they're not perfect. Overall though, the Scorpio is the better car to be inside. The Terrano is visibly European - predominantly austere with pleasing dimensions and functional curves that don't seem overdone. 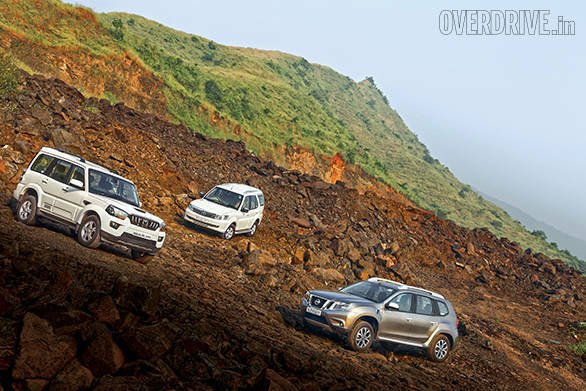 But put the three cars side by side and the Terrano is severely dwarfed. Once you get inside, you realise that the interior space is in fact just a little more than an average C-segment sedan. It is not anywhere close to being a 7-seater. 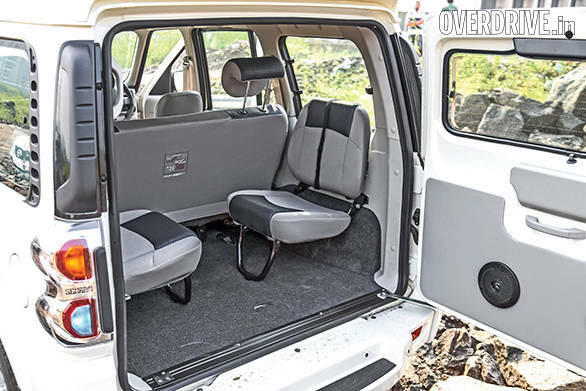 But what the Terrano misses out on in terms of room, it makes up for in construction. While the other two are ladder frame chassis, the Terrano is a monocoque. It slots itself in between the Safari and the Scorpio in terms of features, design and build quality. The smallest car of the lot, expectedly, also has the smallest engine of the lot. The Terrano gets the 1.5-litre K9K turbo diesel engine that's available in two states of tune - 85PS/200Nm and 110PS/248Nm which is the one we are driving. But don't let the numbers fool you. 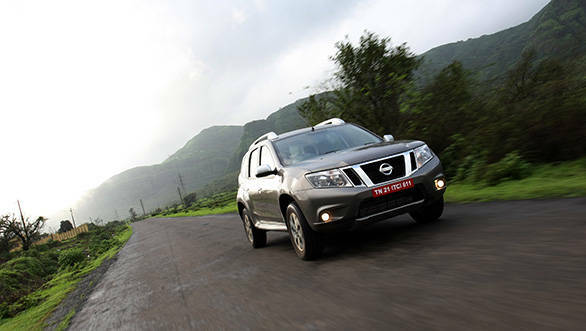 The Terrano is in fact not only the quickest of the lot with a 0-100kmph time of 11.6 seconds and a quarter mile time of 18.1 seconds, it is also the most fuel efficient with an overall figure of 17.5kmpl. This is predominantly because of four reasons, the first of which is Renault-Nissan's acclaimed K9K engine which is known for its efficiency. Secondly, the performance has a lot to do with the weight and at 1787kg, the Terrano is way lighter than the other two mammoths. Thirdly, while the Safari Storme and the Scorpio are rear-wheel driven, the Terrano is a front-wheel driven car, which means it escapes transmission losses. And when you couple these with the fourth reason - an extra sixth gear - it's easy to understand the Terrano's fuel efficiency advantage. Nissan also have a 1.6-litre petrol engine on offer for the Terrano but for the sake of this comparison we won't concern ourselves with it. 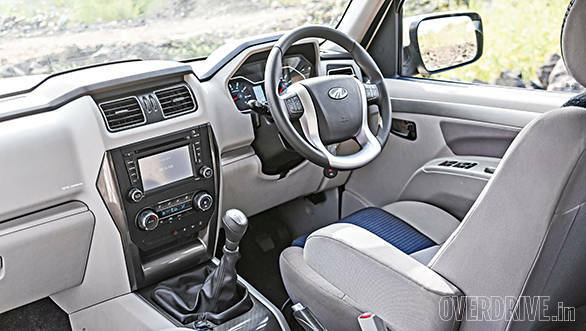 The Safari Storme on the other hand has the numbers to its advantage, with its 2.2-litre VariCOR turbo diesel engine making 140PS of max power and 320Nm of max torque. But once again, numbers belie the actual performance as the Storme is the slowest to a hundred in 15.9 seconds, and in a quarter mile drag at over 20 seconds. The massive 2,650kg gross weight gives it an overall figure of 13.6kmpl. But in the Safari Storme's defense, it is the only car here with a 4x4 system with the added weight of a transfer case and a low ratio gearbox. The new Scorpio also runs a 2.2-litre turbo diesel engine called the mHawk that makes 20PS less power and 40Nm less torque than the Safari Storme. It, however, beats the Storme to 100kmph by 2.7 seconds and in a quarter mile drag race by 1.5 seconds. It is however marginally less fuel efficient by doing 1.2 kilometres less on a litre of fuel than the Storme. Once we get the 4x4 version of the Scorpio in our hands, which is about 100kg heavier than the 4x2 model, the performance of the two Indian SUVs should be quite close. Nonetheless in terms of engine refinement and the gearbox which was often criticised in the past, Mahindra have done a fabulous job. The new Scorpio does feel eons better to drive than the previous gen, and also manages to trump the Terrano. Sure the Terrano has a lighter steering, shorter gear throws and a rev happy motor, but the Scorpio has a smoother clutch, a well weighted and precise steering and a tractable power that is transmitted smoothly to the rear wheels which makes the overall driving experience a bit better. As I mentioned earlier while the Scorpio and the Safari Storme are built around the ladder frame chassis, the Terrano is a monocoque, and a light weight one at that. The monocoque construction allows the Terrano to use MacPherson struts in the front and torsion beams at the back and hence, expectedly, the Terrano has road manners like a car. It not only manages bad roads and speed breakers well, it also handles changing directions with much more ease and minimal lateral movement even for an SUV. 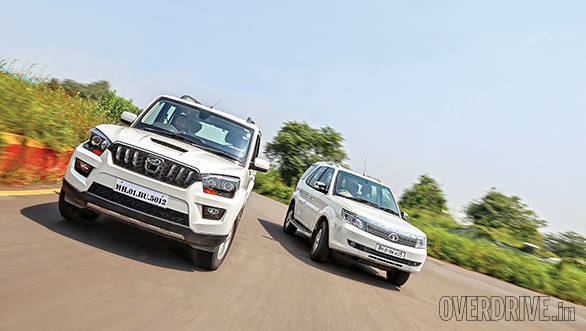 The Safari Storme and the Scorpio use similar underpinnings with torsion beams up front and a multilink set-up at the back. 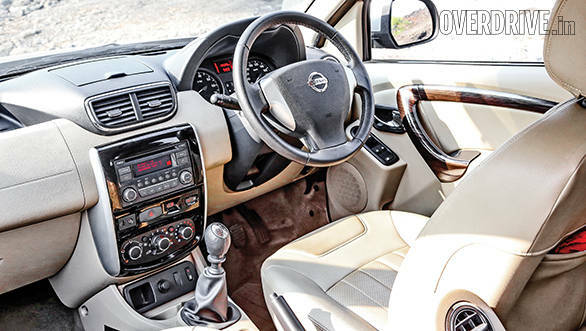 Now in the earlier days, the Safari was the better car in terms of ride quality, but with Mahindra having reworked the Scorpio's chassis, the tables seemed to have turned. Amongst the cars we have here, both the Safari Storme and the Scorpio have shift on fly 4x4 options with low ratios making them true off-roaders. But the Safari also gets the benefit of a Limited Slip Differential and coupled with the extra 40Nm of torque that the engine makes, the Safari pips the Scorpio when it comes to off-road ability. On the other hand, while the Terrano's French cousin the Duster gets an AWD option (not in the same league as the 4x4s on the Tata and the Mahindra), Nissan have confirmed to us that the Terrano will not be getting an AWD variant in the near future. And that once again questions its credentials as an SUV in this company. 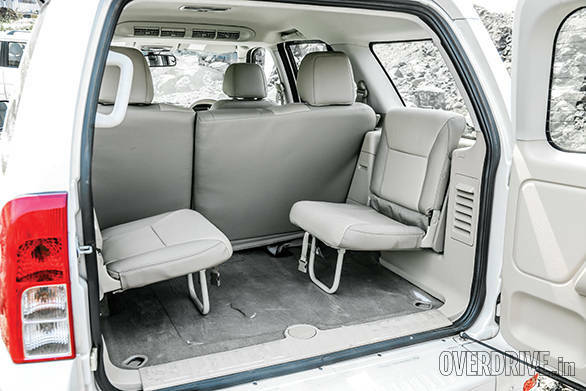 If you're adamant on that 'real SUV' experience, you have a large enough family to want the extra row of seating, both the Safari Storme and the new Scorpio fit the bill. But when compared, the new Scorpio manages to emerge as a clear winner in most departments. More importantly, it offers the best value for your money in this comparison. But what if you're not obsessed with the semantics in the definition of 'a true SUV', you don't really want the two extra seats or a 4x4 system for that matter? What if you'd much rather have a large enough car that drives like the sedan you just upgraded from? In that case, the Nissan Terrano will serve well to keep you happy.